I’m sharing another recipe remix this week. This past weekend I had intended on making saltfish fritters, when my husband suggested that I make ackee and saltfish fritters instead. This man thinks that anything is better with ackee and saltfish in it. Ackee and Saltfish is the national dish of Jamaica, which is where he was born, so he seems to have an affinity for the dish. I decided to play along and give it a go since I already had ackee in my pantry. Turns out he was right; this time anyway. We gobbled these up quickly! 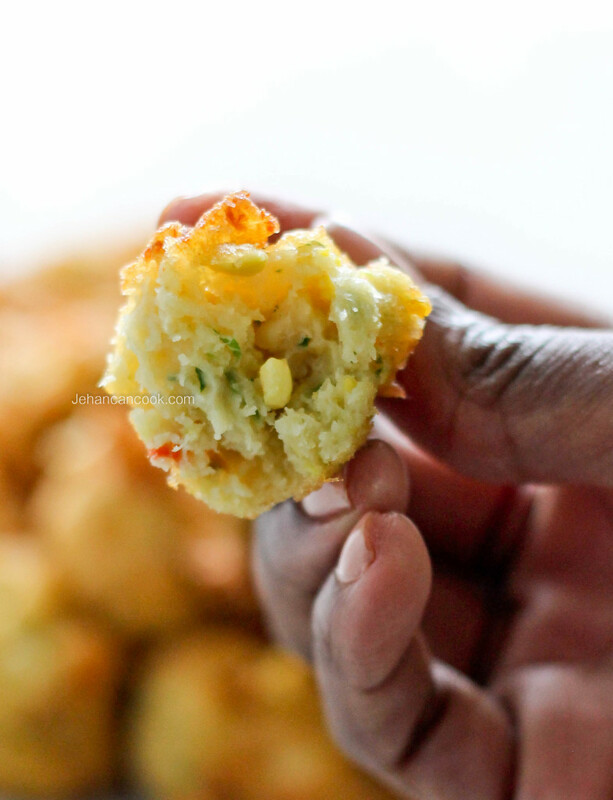 The ackee is a great addition to these already delicious fritters. Ackee has a creamy texture and very mild flavor, so it doesn’t overpower the dish but adds another depth of flavor. 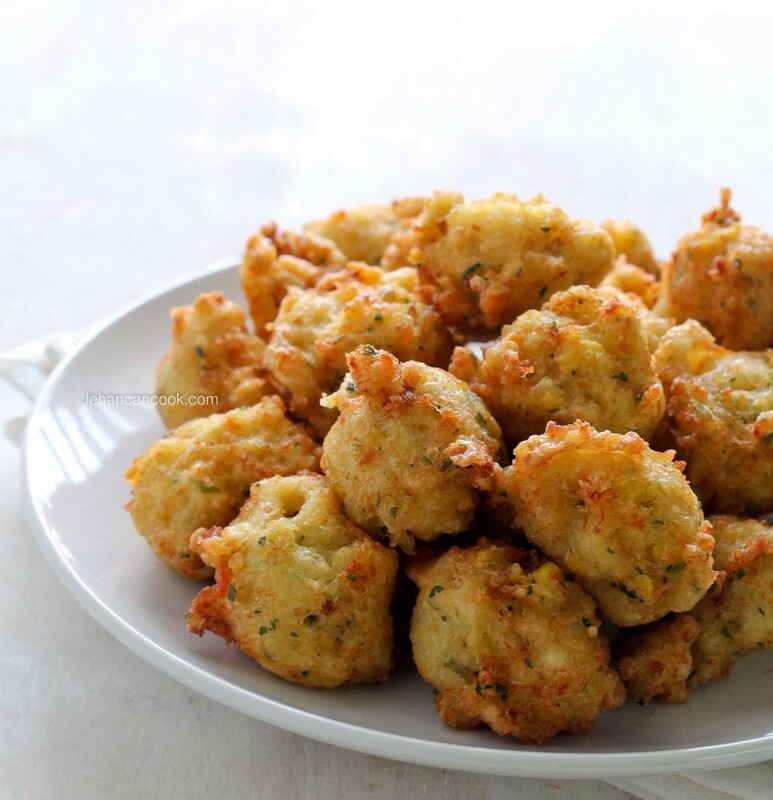 Have you made a different version of the Saltfish Fritters? If so, what have you added? Place saltfish in a bowl and cover with water, allow to soak overnight to remove the excess salt. Place garlic, thyme, onion, pepper, cilantro and scallion into food processor and pulse until finely chopped. Place seasoning mixture in a large bowl. Next, drain saltfish then use a fork to flake the codfish, then place into food processor and pulse 3 or 4 times until finely shredded. Add shredded codfish and ackee to the bowl with the seasoning and mix. Add flour and baking powder then stir to combine. Next, add water and stir to form a batter. Place canola oil in a deep sauce pan. The oil needs to be about 3 inches deep. Heat oil over a medium fire and when the oil is hot, use a small spoon to drop spoonfuls of batter into hot oil. These fritters are absolutely sensational!!! 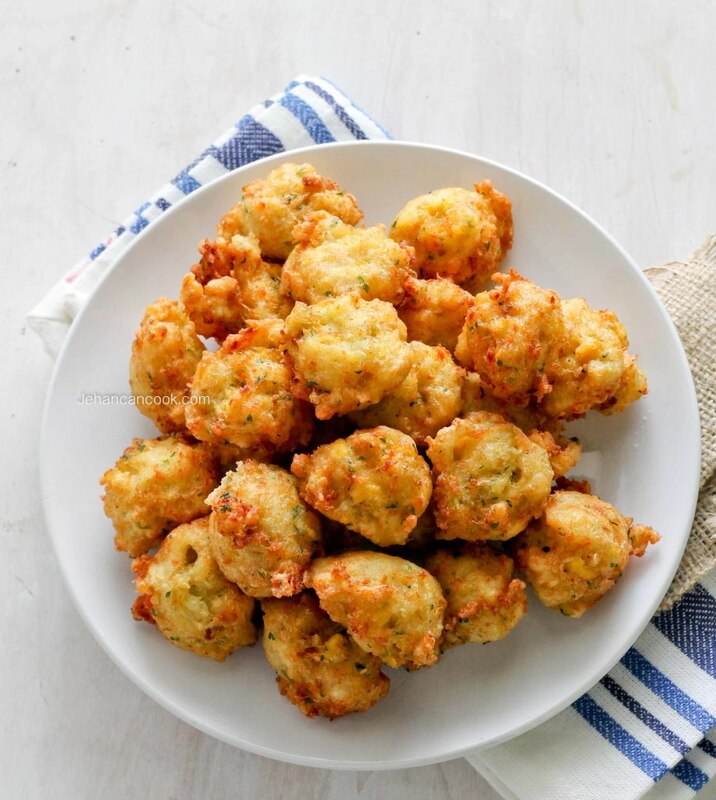 Hi, the ackee and saltfish fritters. .. O you use canned ackee? How do you prevent the ackee from breaking down and turning to mush while you mix the flour etc in? Kellie, gently fold in the ackee. Yes I use canned. Perfect! ! So excited to make a twist on ackee and saltfish!! Thanks! I read the recipie. Did you cook the saltfish before using it or just soak it overnight? Joy, I soaked the saltfish overnight but you can also boil it a few times.